Hello! Yes I am finally back. It's been quite some time but I am happy to say, my leg is healing up very nicely. Doctor seems more than pleased, so, so am I! Below is a card my youngest asked me to make for her to send to a pen pal in Bulgaria. They play an online game and chat together. They both like penguines and she is a Thor fan and he is a Batman fan. So to some of you this card will make absolutely no sense. To them it will be perfect. She's coming by today to pick it up. I wanted to get it posted before she comes. That's why I didn't get the photos all tidied up before posting. 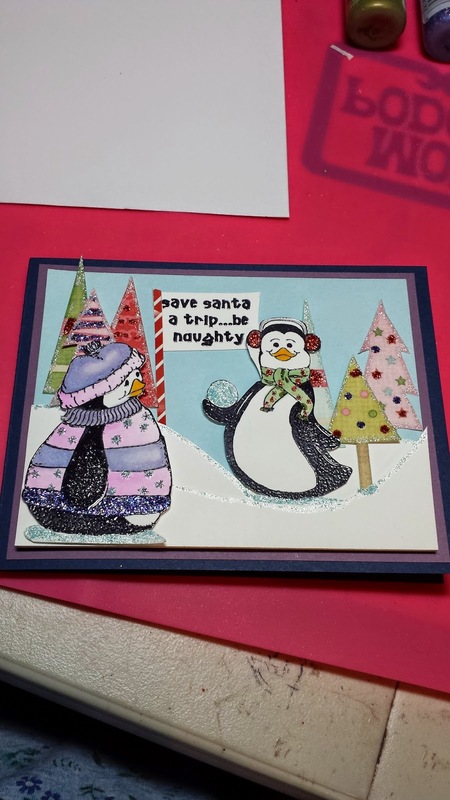 The sentiment reads: save santa a trip...be naughty. I printed 4 of the superhero images and cut pieces for a 3-d effect. 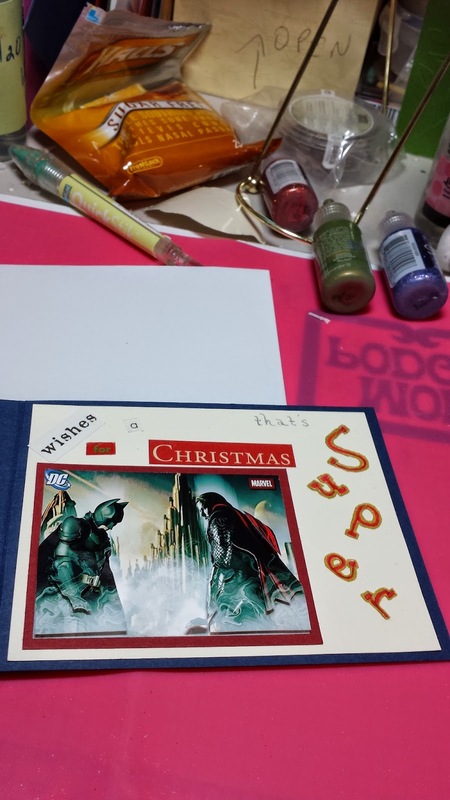 The sentiment reads : wishes for a Christmas that's Super! I hope everyone had a blessed Thanksgiving. Ours was very nice. My sister came and brought my parents and all of their dogs. 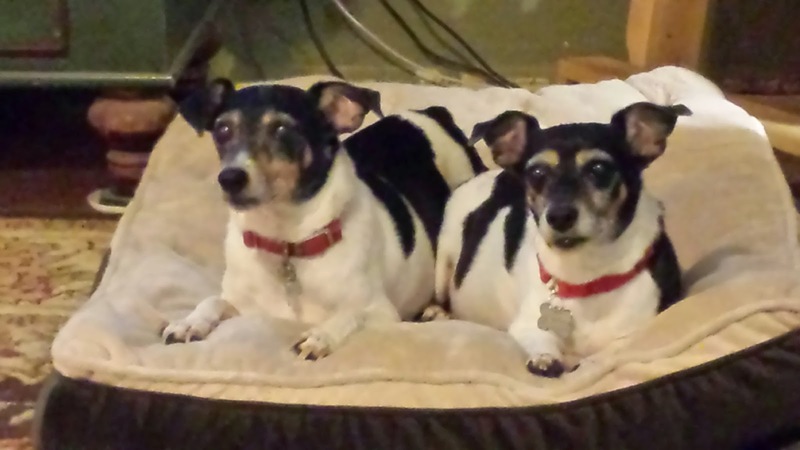 I only got a picture of my sister's Rat Terriers, Gracie and George. Now to get to my Christmas card list. Please take time to enjoy the season that is upon us. Don't get caught up in the hustle and the bustle of it all. Remember, Jesus is the reason for the season.